This week has really just flown. 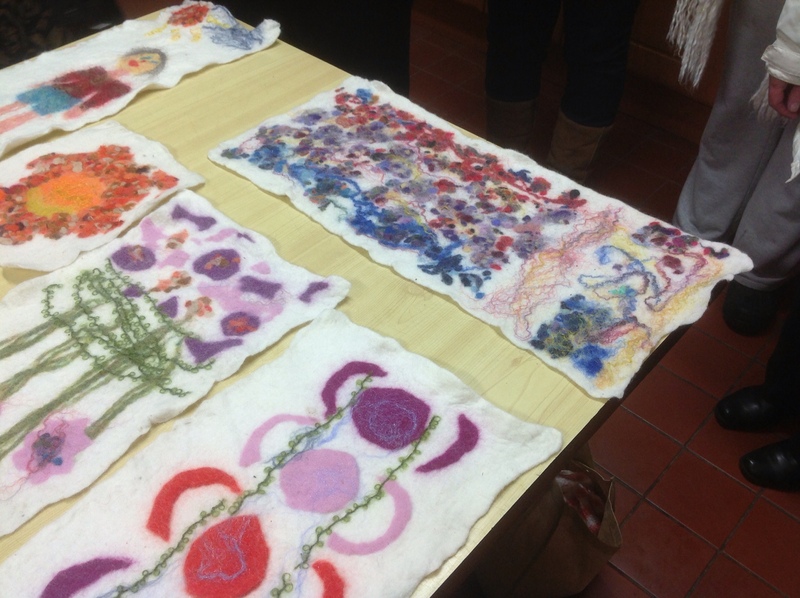 I need to finalise a working description today for my upcoming three day felting workshop at the wonderful Tin Thimble, Loomis CA, this takes place from Friday 31st May through to Sunday 2nd June. 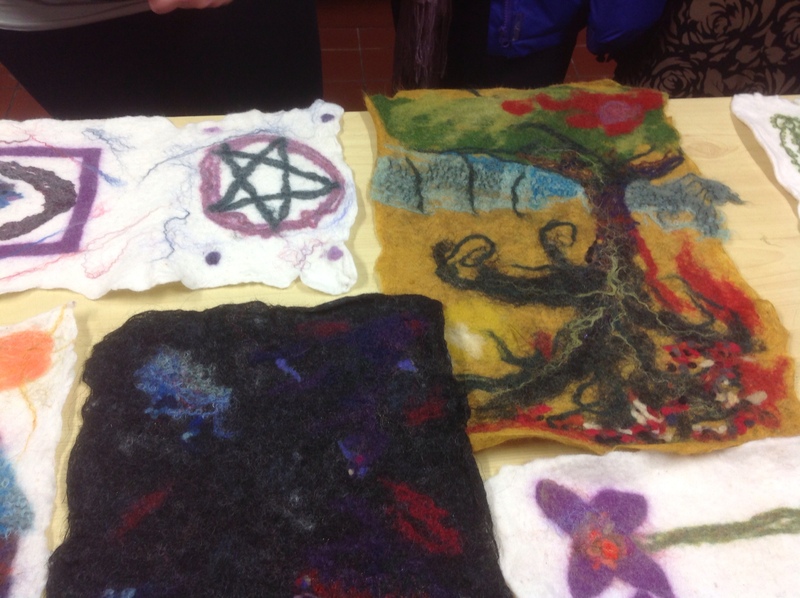 These classes coincide with the annual Felt Fest organised by The Tin Thimble, I've always wanted to attend this fabulous sounding event so I guess this year I've finally hit the jackpot!!! 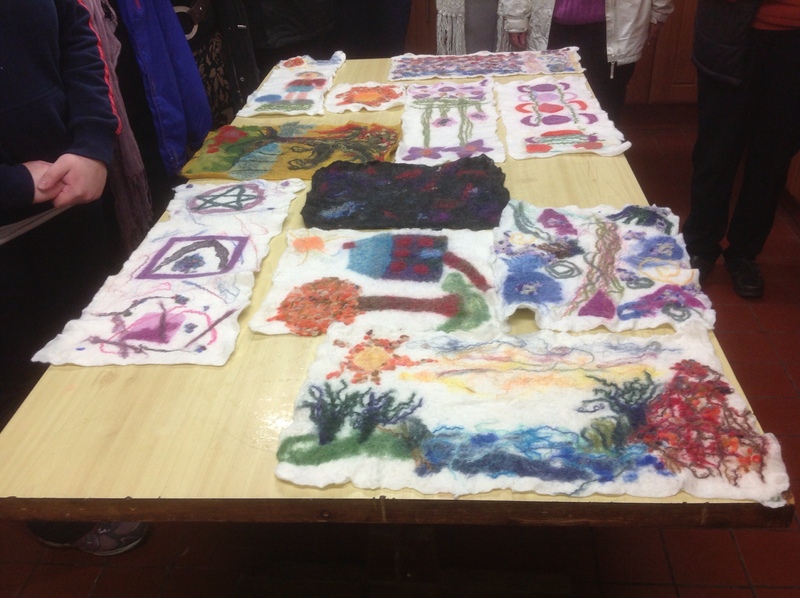 As a result I've not got much time to write today, instead I'm going to post a few pics here (from the workshops that I've taught this week) and let them do the talking for me. 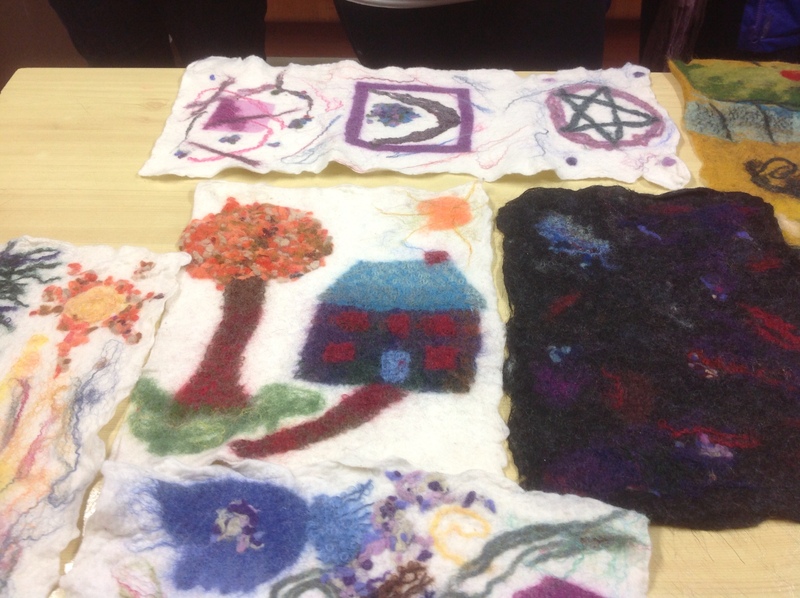 This first shot is of the beautiful flat felt pictures created by Myshall Art Group on Monday night, for some of the ladies it was their second night felting, for others their first. Here's a closer shot of some of these pieces……. and another! 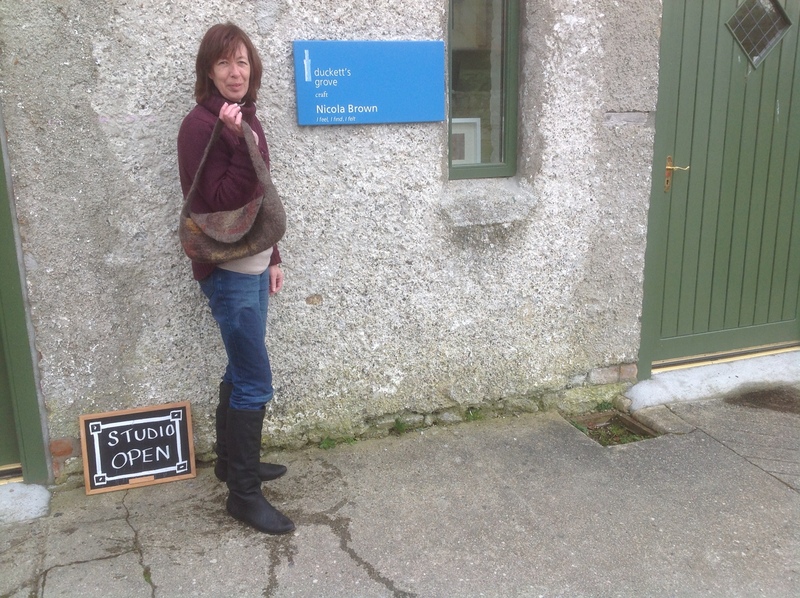 The last shot shows Anita with her beautiful first felt bag at Duckett's Grove yesterday. This bag has integrated handles, a flap and an interior pocket, great job Anita! This entry was posted in America 2013, Duckett's Grove, Felt, workshops and tagged Duck, Duckett's Grove, Felt, felt bag, felt bag workshop, felt class, felt classes, flat felt, flat felting, flat felting class by Nicola. Bookmark the permalink.